As of 2016, Nigeria was Africa’s largest economy and most populous nation. 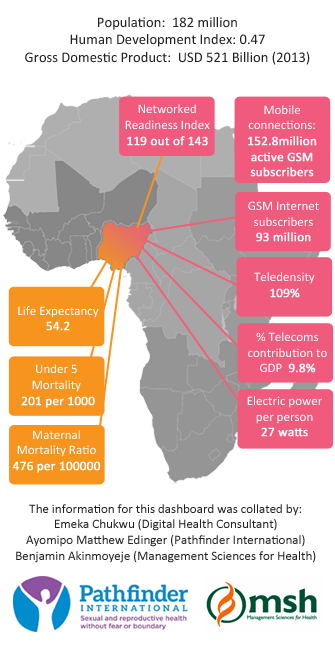 By 2050, Nigeria is expected to be one of the ten largest economies in the world. Despite these economic gains, the overall health status of the Nigerian population is poor (as defined by the 2013 Nigeria Demographic and Health Survey) and infectious and non-communicable diseases remain among the leading causes of morbidity and mortality. The government is developing and implementing policies and programs to strengthen the National Health System to support attainment of Universal Health Coverage. The initial focus is on primary health care, and innovations including the use of Health ICT to improve service delivery, access and coverage have been prioritized. 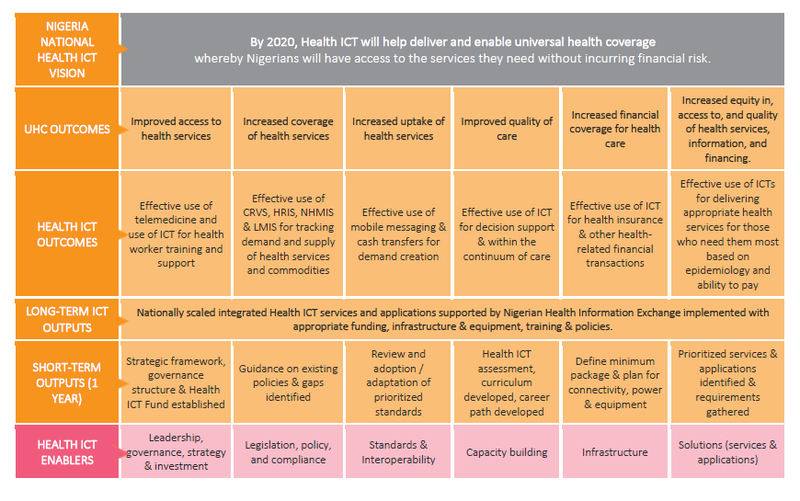 In the eHealth environment, Nigeria faces a number of challenges including getting timeous data for decision making, scaling up mHealth pilots and ensuring interoperability between digital health systems. National Information technology Development Agency (NITDA).